Most people have the idea that cats can\’t be trained. They think any behavioural problems a cat has can\’t be changed because cats are supposed to be totally self-centered and independent. More people are finding out that you can in fact train a cat to solve a lot of common behavioural problems. Some people might wonder why they should take the time to train their cat. 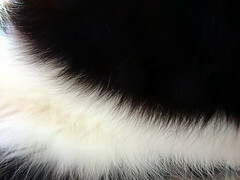 There are several reasons, including being able to have a better connection and relationship with your feline companion. Training will make your cat more active and responsive to you and its surroundings. It can make frightened and shy cats more confident and outgoing. If you have a dominant cat you can make them less aggressive.